We couldn’t help ourselves. We put out a list of 5 apps that we wanted you to check out. However, we looked over everyone’s collection of great iOS apps and figured that ten more couldn’t hurt anything, right? Not at all! This is an app that’s available for the iPhone, iPod touch, and the iPad as well. This free app is a great video editing tool that lets you use video in a completely different way. This app is going to scan the area to see if anyone is shooting video near you. It will then edit all of the video clips together so that the same footage is seen from multiple angles. This is pretty neat for things like concerts, sports games, and events. This is an app that alerts you when a Facebook friend or anyone else with interests that match yours to hang out. You can send messages to them and even make some new friends. 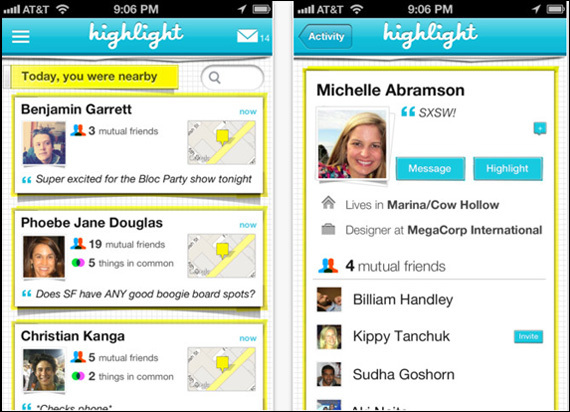 This app made its debut at SxSW and it looks like it’s definitely a crowd favorite. Stitcher Radio is all about finding the next podcast to fall in love with. If you’re mourning the death of talk radio in this country, don’t worry — Internet radio has taken over, and it’s clear that it’s definitely here to stay. You just have to make sure that you’re thinking always of the journey that you really want to make here. There’s no need to feel like it’s impossible to get on board with what really matters here — you’ll have plenty of podcasts to listen to. 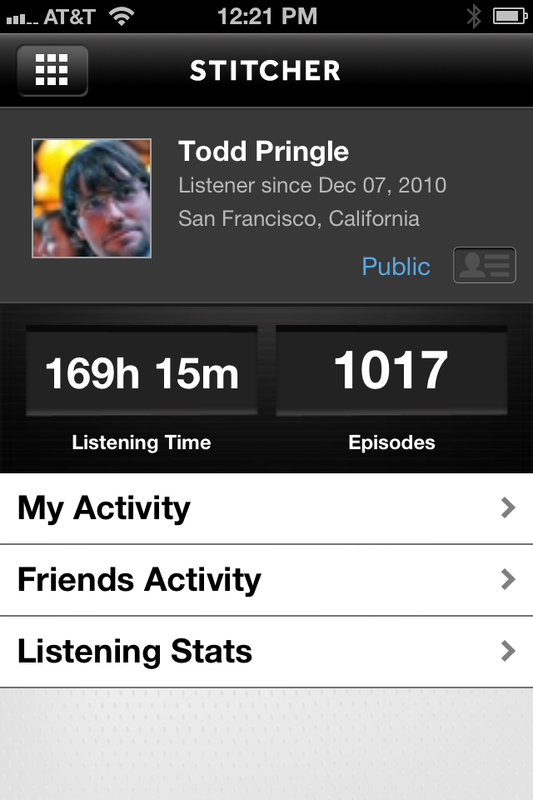 Stitcher Radio fills the gap that the Podcasts app left behind. Not sure where to begin? Just trust in the app and everything else will flow from there. 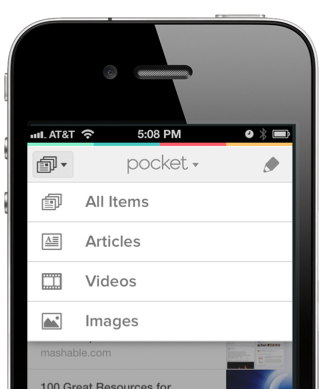 Pocket lets you read everything offline that you view in Safari. You can change the text and also handle all of the usual sharing functions. Finished with content? Archive it rather than deleting it — that way you can still search for it if the mood strikes. It’s available across all iOS devices and is even available on Android. Way cool. Clear is all about task management, but don’t let it fool you into thinking that it’s like everyone else in that space. It’s beautiful and seamlessly connected to iCloud. Need to beam that task list to your MacBook? No problem, that’s covered. You can switch lists quickly, and even past text into Clear, converting it into a list. Clear is available on iPhone and iPod touch, for $0.99 — definitely worth the purchase. 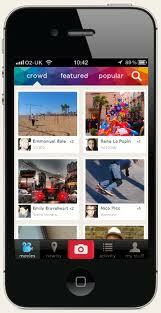 ShowYou is available on the iPhone, iPod touch and iPad, and it’s all about video discovery. You can find videos shared by Facebook and Twitter contacts, as well as through search and even a curated directory. It stands above the pack thanks to a nice community and great messaging features. Zinio is available on all three main iOS devices. It’s all about digital magazine applications — there are over 5500 publications that can be read for free. There’s also a power to purchase products that you’re reading about without having to leave that page. Cool stuff. Paper by ThirtyThree is designed for the iPad specifically, and it’s all about drawing. If you wanted a serious drawing app on your tablet, this is the one to go with. It’s free, and it labels everything by what it’s designed to do. Think “sketch” rather than the Pencil tool. There’s extra tools on sale within the app, but you don’t need them in order to have a great time. This free app is available for all three iOS devices and lets you add in special effects to all of your video clips done with iDevices. This app is pure entertainment but hey — sometimes that’s exactly what you need to look into. Viggle is an app that lets you get compensated for checking into your favorite programs. The app uses audio recognition to handle the work for you. It’s not much compensation, but it can be enough to sit back and spend a lazy weekend just enjoying the best television online. There’s no reason to believe that you’re going to have to do anything else but sit back and relax. So why stress? Appreciate that you literally do get paid to do absolutely nothing. Amazon, Starbucks, and the Gap (among others) are behind the compensation angle. It’s available for the iPhone as well as the iPod touch. There’s quite a world of iOS apps waiting out there for you. Worried about your Android phone or tablet? Many of these apps listed also have Android ports. Talk about getting the best of both worlds right there! Why not check it out today for yourself? You’ll truly be glad that you did!